Maintenance Care is a web-hosted facility maintenance software that helps businesses manage all of their work requests, assets and preventive maintenance. The easy to use interface will allow maintenance teams to track all aspects of their daily tasks without having to be computer experts. Maintenance Care offers a variety of features including work order management, preventive maintenance, asset tracking and report dashboards. The software allows users to submit maintenance requests online. Maintenance teams can receive facility-wide requests directly from other users who discover potential issues. Team members are also notified automatically of preventive maintenance work requiring attention or new work requests. Users can access this software on their mobile devices too, making collaboration and communication easier. Maintenance Care provides preventive maintenance features and creates comprehensive reporting to maintain high facility standards as per compliance regulations. Users can also attach documents, safety guidelines and instructional videos to preventive maintenance tasks for the maintenance team to review prior to starting work. The tool also helps in forecasting and budgeting for asset replacements and in capturing and accessing repair transaction history for any particular equipment. Best Maintenance Request System EVER!!! There are very few additional features that could enhance the software. Adding additional email notifications when changes are made to the task would be a benefit. Allowing for more flexibility and/or additional features with the maintenance request submission form could allow for additional uses of the software. Great product. Mobile app is a time saver for maintenance team. Setup relevantly simple. Report features allow for easy review of work order type, duration, number of orders. Easy for line staff to enter work orders Help feature is difficult to use and drill down to find help for specific topics. I'd like a BB 10 app. Would be nice to have generic wording for scheduled tasks. EG: Caution: BEFORE PERFORMING ANY MAINTENANCE - Notify necessary personnel prior to stopping and starting equipment. - Ensure equipment is isolated using proper Tag and Lockout procedures. - Ensure any pressurized components are properly isolated / drained. - Wear appropriate personal protective equipment 1. Check general condition and note any damage to components. 2. Check fan belts for wear/tension. Check sheaves for alignment/wear. Adjust/replace as necessary. 3. Inspect fan shaft locking collar for security (if fitted) and ensure grub screws are tight. 4. Clean the fan, blades and motor housing as necessary. 5. Check motor for any signs of vibration or overheating. 6. Ensure mounting bolts, nuts etc. are tight and vibration isolation springs and supports in good condition. 7. Check condition of cooling coil, clean as required. 8. Check condition of the air filter, replace as necessary. 9. Check/Clean condensate pump (if fitted), clean pump pan as required. Check condensate pump high limit operation. I would recommend. It is a fast, simple and efficient system that is worth the cost. Communication between departments has been streamlined by using one system. The features and functionality, the system allows us to prioritize and address all issues in a timely manner. The features and functionality, the system allows us to prioritize and address all issues in a timely manner. Cannot display Chinese words due to some of our staff do not understand English well. Hope Maintenance Care will improve this area. After a short evaluation and pilot process, our product of choice was CMMS from Maintenance Care. Implementation was completed mid 2013 across 19 of our Seniors Care Facilities. Short term results and successes far exceeded our expectations. Much of this can be attributed to the ongoing support from the Maintenace Care team, they have been phenominal. What we like most about this product is that it fits particularly well with the requirements and demands synonomous with Seniors Care. It is also very user friendly but, perhaps most important is that in our case, it encouraged participation from all levels of our staff through the service desk concept, which in our view is one of the corner stones of this product. From that perspective, facility maintenance has become a colaborate effort in our Company to the direct benefit of deserving Residents. As improvements to enhance what is already a very good system, we would like to see bar coding as well as an auditing module in the near future. Over all, we are more than satisfied with our choice of product as well as our association with Maintenance Care as a Company. Needed a work order system that was simple to use with minimal training for students, faculty and staff at Florida Memorial University. Maintenance Care met this requirement with flying colors, we were up and running within days. Quality product with exceptional technical support.Very User Friendly! Maintenance Care Work Order System is very easy to use and deploy. We were up and running in no time once we decided on Maintenance Care. We have only received exceptional and professional customer care and service from training to technical support. Very User Friendly! Maintenance Care Work Order System is very easy to use and deploy. We were up and running in no time once we decided on Maintenance Care. We have only received exceptional and professional customer care and service from training to technical support. We went live with Maintenance Care in July 2018 and we currently have experienced no issues with the software or support. Maintenance Care is a complete web-hosted facility maintenance software that helps in managing work requests, asset tracking, preventive maintenance and dashboard reporting. The product has fully integrated mobile features that allow users to create and edit work orders through mobile devices and the data gets automatically synced with the main database. Maintenance Care offers a FREE VERSION and you can get instant access to it without a credit card. Maintenance Care offers frequency-based wireless sensors to get readings from any part of the facility and logs these readings into a web interface from where users can view the results as well as export them to Excel for further analysis. The tool also provides dashboards that use visual analytics tools like pie charts and bar graphs to portray daily information about the operations and health of the facility. Below are some frequently asked questions for Maintenance Care. Q. What type of pricing plans does Maintenance Care offer? Q. Who are the typical users of Maintenance Care? Q. What languages does Maintenance Care support? Q. Does Maintenance Care support mobile devices? Q. Does Maintenance Care offer an API? No, Maintenance Care does not have an API available. Q. What other apps does Maintenance Care integrate with? Q. 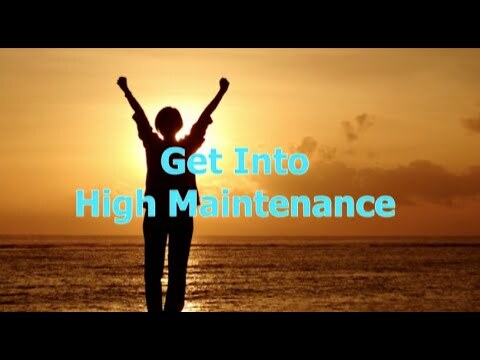 What level of support does Maintenance Care offer? Q. Which apps is Maintenance Care compared to most often?